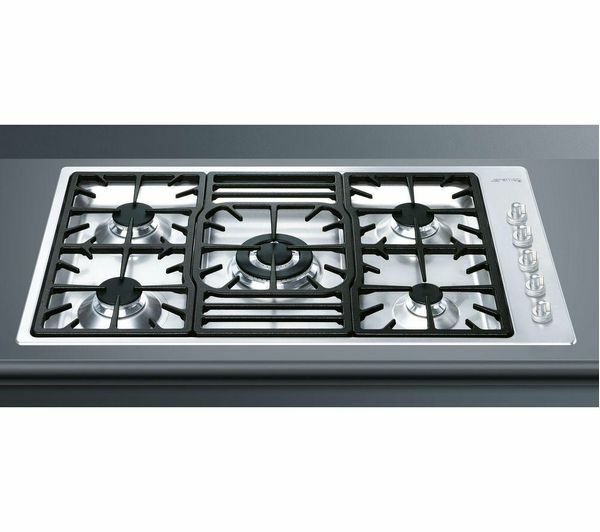 With 90 cm of cooking space, you're sure to cook up a treat in your kitchen with the Smeg Classic PGF95-4 Gas Hobl in stainless steel. 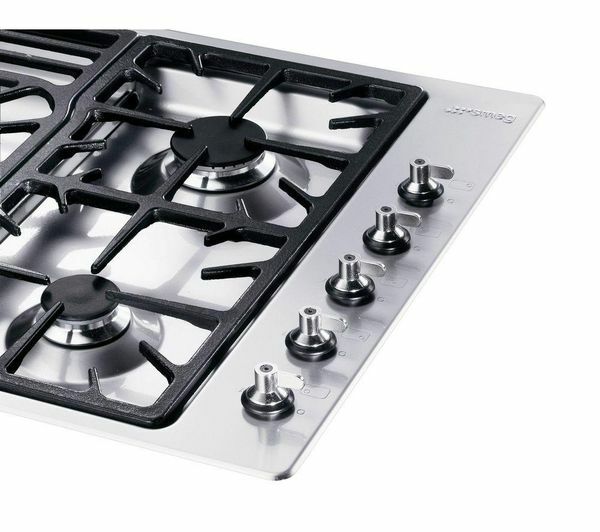 With five excellent power providers to choose from, from the 1.05 kW front right burner to the 4 kW central burner, you'll be sure to find one to simmer or boil whatever treat you are cooking up. 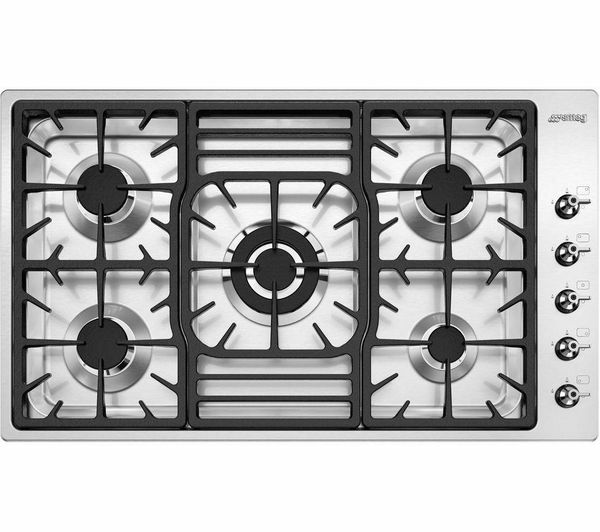 The diamond configuration of the Smeg PGF954 has been designed to give extra support to the pans as well as being pleasing to the eye. 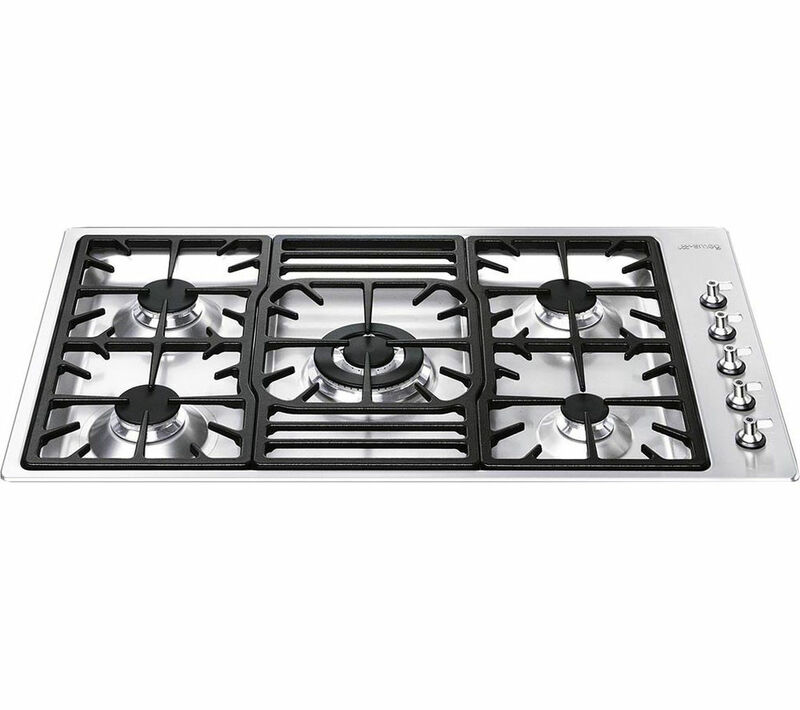 Cook at a variety of speeds with the PGF95-4 Gas Hob's burners, including an energy efficient economy burner is you are not in a hurry. The ultra low profile design makes it easy for you to clean, and sturdy enough for larger pans which complements the robustness of the cast iron pan supports. With a FSD device fitted, your home will not go up in flames as the gas burner system detects if the flame is extinguished and cuts off the gas supply. Light the ignition with ease via the control dials as you vary the power levels for optimum use. 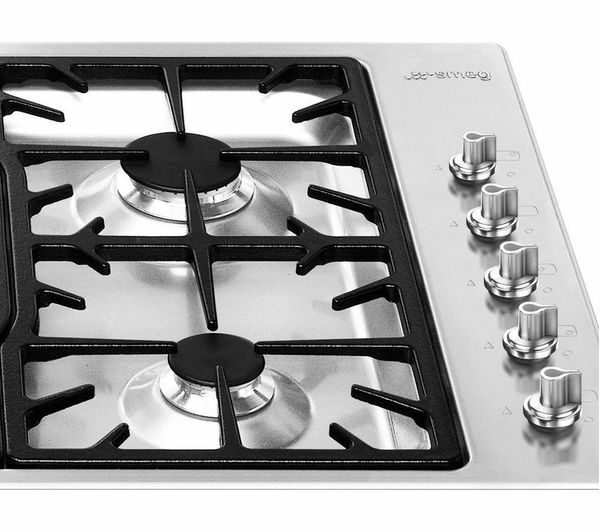 For easy use and professional results, choose the Smeg Classic PGF95-4 Gas Hob in stainless steel. GAS INSTALLATION: This product requires installation by a qualified gas safe engineer, such as one of our Team Knowhow experts.